Hi Everyone! My Mommy is real sleepy! She’ll update in the morning! I love you! 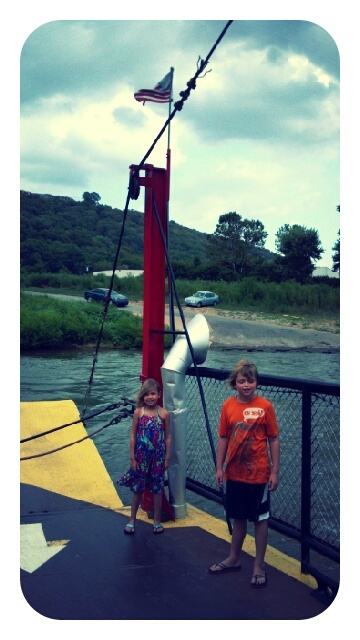 We’re enjoying a nice restful weekend home from the hospital, obviously! 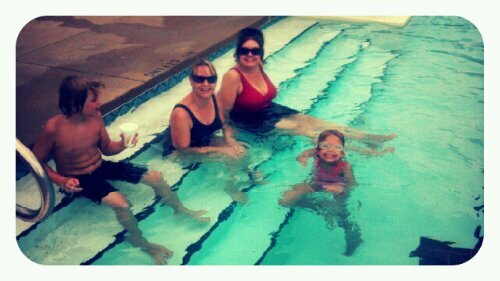 Yesterday I had the opportunity to take the big kids swimming with Nana and Papa, and my Aunt Diane at Nana and Papa’s swim club. Meanwhile Nora was at home with Daddy smiling up a storm!! These are not little accidental dream smiles – they are the real deal and beyond CUTE!! All that smiling makes me sleepy!! We had a long day swimming, but we were excited to get home and see NorNor. 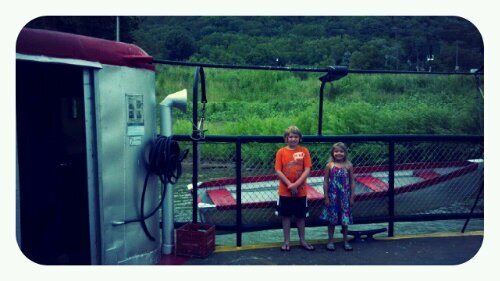 We rode the Anderson Ferry back to our house as we usually do, but this time we got to ride on Boone 7 which is the oldest of the three ferry boats. Heart shaped prayer tree up on the hill! They don’t often have this one running. 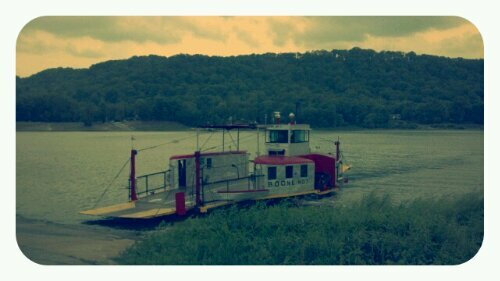 When I was a little girl, Boone 7 was the only boat available for trips to pick up relatives at the airport or visit Aunt Rosie in Kentucky. It is considerably smaller and fits only about 6 cars (or one big giant Country Squire wood paneled station wagon back in the 70s). 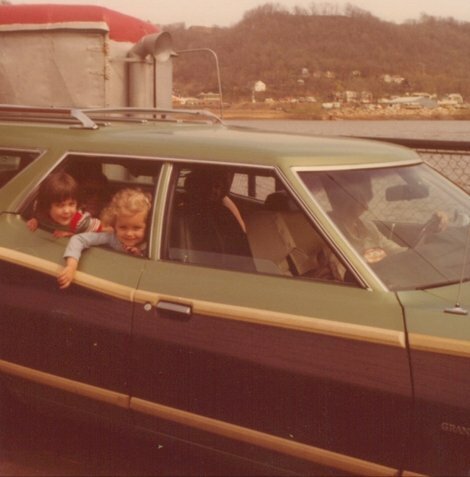 That’s me (blonde) with my cousin Amy on a trip across the river on Boone 7 – circa 1976? We were glad to get home and love on Nora! Here was my awesome God hug of the day. I also had THREE enormous birds fly over my car last night. It was almost completely dark (9:35 pm). I barely saw them and they had such a huge wingspan that it looked like they were flying in slow motion. No idea what kind of birds they were! But whatever they were, they gave me the chills like no other! Be strong and courageous. Do not be afraid; do not be discouraged for the Lord your God will be with you wherever you go. How can you not LOVE this face?! 🙂 What a darling! And my heart skipped a beat at the recent “smiley” photos! ❤ Sweet Dreams, Momma & Nora. 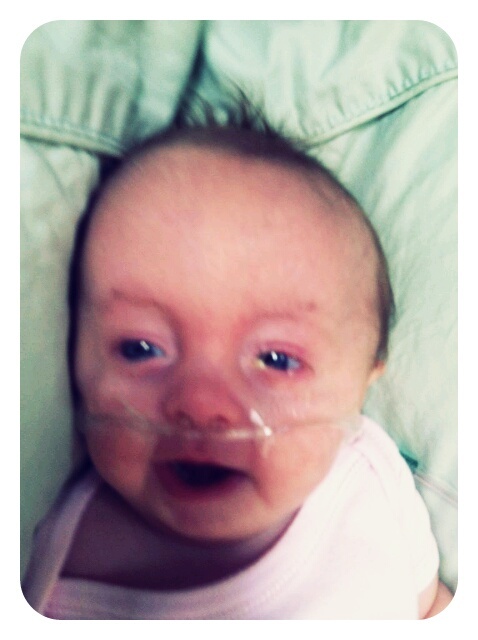 NORA YOU ARE A BEAUTIFUL LITTLE GIRL AND SO MANY PEOPLE LOVE YOU. YOU AND YOUR MOMMY GET LOTS OF SLEEP TONIGHT, THEN TOMORROW YOU AND MOMMY WILL BE ALL RESTED AND READY FOR A WONDERFUL SUNDAY. HUGS AND KISSES LITTLE MISS NORA ROSE. GOOD NIGHT AND GOD BLESS YOU ALL. Oh I love you more miss Nora rose!! When caring for our daughter who had trisomy 18, who had to be fed every 3 hours and it took 45 minutes to pump breast milk, the line between sleep and wakefulness became completely blurred. This verse from Psalm 121 always comforted me because it made me realize that God was right there with me during the long watches of the night: “He will not let your foot be moved; he who keeps you will not slumber. He who keeps Israel will neither slumber nor sleep” (Ps. 121: 3-4). Hang in there and remember you are loved with an everlasting love and many are lifting you up in prayer. I hope you let mommy get some sleep! Well you must be doing something right b/c that looks like one happy baby! I hope you got some much needed rest last night. Hi Beautiful Nora! I hope your whole family got lots of rest last night! Love you sweetie! Nora, you are such a big girl to type Mommy’s messages! Pretty soon you’ll be getting your own milkies and having all your baby friends over for a sleepover! You go, baby girl! Aleisa: look at that little perfect face! She has got to be the cutest baby on the planet! Seeing this first picture with her beautiful smile brings tears to my eyes! She seems to know what we want and when she does it, her whole face lites up with pleasure as if to say “I did it!” Yes Nora, you did it! Baby girl you have accomplished so many things and we are all so proud of each step you take. You are growing longer, noticeing toys and mobiles around you, and you certainly recogonize your family as your eyes are mesmerized on them. You have found the sweetest little voice and love to use it – and we love to hear your coos. Our prayers for you are to continue on this upward growth pattern at your own pace, show the doctors that while you do have your special problems, you are another kind of special that will fight to learn to live the best you can and better than they predicted. You are an exceptional girl who will do miraculous things. All the love and cheering people will help you pass your scores. I join the many who pray many times a day for the fighter you are. GO NORA ROSE!!! Hello! 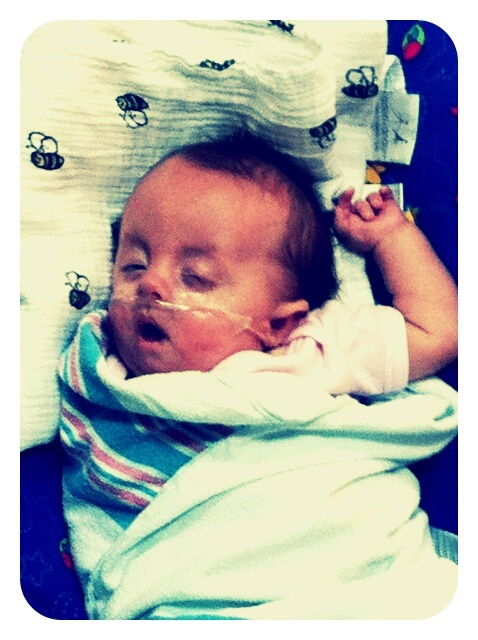 What a beautiful blog about a beautiful little girl sent straight from heaven. What an angel you are as her mother. The first time I seen your post I seen a clipping that talks about your child was not sent for just YOUR happiness. It spoke to me but I did not write it down. IF you find the time can you maybe point me in the direction of what page that may be one? I know you are busy! Your family and your beautiful baby girl will be added to my prayer list. Hugs moma, your doing a GREAT job.